My friends and family know that in the last few years I have been engaged in listening to podcasts during my morning exercise routine. 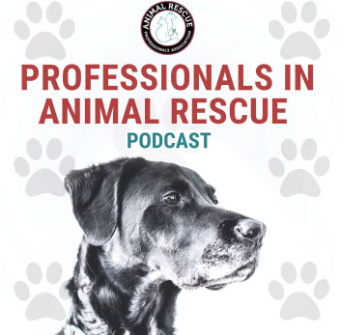 As you might expect, my focus area for selecting podcasts has been on animal rescue and animal advocacy as I have a thirst for knowledge and a passion for animals. Listening to podcasts that others produce also served to inspire me to start my own podcast, Professionals in Animal Rescue, where I interview those helping animals each week to understand more about what fuels their passion for animals. Written words are no match for genuine talks. As I was listening to my favorite podcasts this morning (Community Cats Podcast and my newest favorite, The Animal Marketing podcast) I was reminded about the impact that the spoken word has in this age of social media and email. In today’s world, we can hide behind the written word and dole out criticism that we wouldn’t have the courage to say in person. Email becomes a shield where the written word is left to the interpretation of the reader, not the writer. Emotion and context are often lost as we drive home our meaning as we bang out our words on a keyboard. But when it comes to a conversation, like those that occur in a podcast, you cannot hide the sincerity (or lack thereof) in what you are saying. Podcast listeners are like the people that we speak with on a daily basis. They are able to hear the tone, inflection and passion of what we say more clearly than when we send the words through an email. The power of our words can leave a lasting impression on those that are listening to us. Spoken with conviction, sincerity and honesty, our words have the ability to inspire people to new heights, or they can wield the strength of a thousand bricks, crushing our listener into submission. When I listen to a podcast, I find myself in awe of the ability of these talented interviewers to truly listen. They listen to the conversation, they listen to the interviewee, and they listen to the audience who provides them feedback for what they want to hear more of. You can hear in the interviewer’s voice how tied into the conversation they are, and how much they genuinely are interested in the subject matter. It makes me wonder how often I do the same in my everyday conversations. Why do you rescue? This is by far one of my favorite questions to ask when having a conversation with a new contact in the animal rescue world. It causes people to stop and consider their convictions; it forces them to revisit their inspirations; it refocuses their purpose and intent in a way not many questions can. If you ask yourself this question honestly and you listen to your response openly as only you can do, you might uncover the passion that fuels your soul. 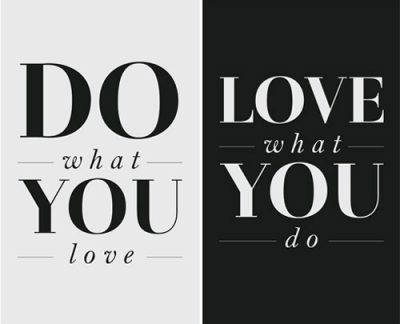 Why DO you do what you do? Consider then whether your passion and purpose is being lost in the noise of social media as you try to maximize your time and expand your reach through your targeted email and Facebook campaigns. Revisit whether the mass reach of that email campaign can have the same effect as a phone call to your most passionate volunteer, donor or team member. Likely you have heard of Ted talks but if you have not, I would encourage you to carve out 20 minutes to give at least one of the most popular Ted talks of all time a chance to inspire you. These are ordinary people just like you and I, using the same words that you and I use daily, but strung together in short talks that will leave you speechless but inspired to do even more. Whenever I am feeling frustrated about my path, uncertain about the future of Doobert, or struggling for the motivation to persevere I listen to one of these talks and I realize how much more I am capable of. The power of a conversation cannot be underestimated and Ted talks will illuminate that like nothing else you have ever listened to. 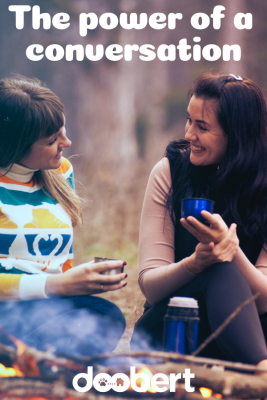 You might even be inspired to have a conversation with your team to refocus your energies, re-target your destination and revisit your methods. If you are reading this, you are someone with a passion and drive to help animals. You may not see yourself as a leader or even an advocate, and you may only be able to volunteer a few hours each month of your time towards your convictions. But you have accepted the challenge to do more than the average person; you have chosen to use your time, resources and talents in a way that supports animals; you “opt-in” when the need arises and make a difference in the world you live in. I am inspired by listening to advocates for animals. I appreciate Stacy from the Community Cats Podcast, and Anna from The Animal Marketing Podcast for what they do to bring attention to the cause. You inspire me to try harder, learn more and redouble my efforts for animals. You challenge my thinking and expose me to new ideas, passions and programs that I care about. You have the ability to reach inside my head, stir my thoughts and motivate my intentions. Thank you for what you do for me, for others and for the animals.